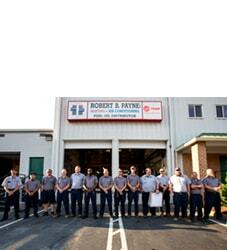 Expert Heating Installation Service Fredericksburg and Surrounding Areas | Robert B. Payne, Inc. 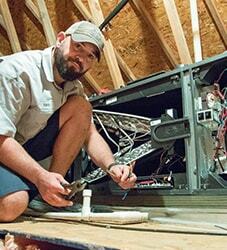 If your heater is not working as efficiently as it once was, then it might be time for a heater replacement. Consult with the Fredericksburg professionals at Robert B. Payne, Inc. for ideas about what type of heater will work best for you. We specialize in residential as well as commercial heater installation and are committed to saving you money as well as energy. Give us a call if you are not sure whether or not you are actually in need of a new heater and one of our technicians will come out to your home or business for a professional evaluation. One of the best ways to ensure that you get as many years out of your current heater as possible is to make sure that you have your heater regularly serviced. Routine heater maintenance from the experienced technicians at Robert B. Payne, Inc. can help prevent sudden breakdowns and emergency repairs in the future. Rather than think about how much you will have to pay for maintenance, think of how much you can save in the future. Save more money over time. Do you have questions about our emergency heating system installation services? Call the Robert B. Payne, Inc team today! How do I pick a new heating system for my home? When it comes to choosing a heating system for your home, a couple of factors will play a part in the decision. These factors include the fuel type you intend to use, or the energy source; the distribution system; how efficient you want the system to run; and the cost of the system itself. There are furnaces, boilers, and electric heat pumps. The biggest of systems is not necessarily the better option, though, which is important to keep in mind. Efficiency and cost will most likely be the major deciding points for most homeowners. The more efficient it is, the less it will cost for you to run the heating system on a regular basis. For cost, you must factor in the installation, the long-term operating costs, and the general maintenance of the system. A carefully planned maintenance routine can cut down on costly repairs in the future. On average, how long is a heating system’s lifespan? A central heating system within the home or office was designed to be as efficient as possible. These systems come in a wide variety of types, powered by different fuel sources, and have varying average lifespans. The lifespan of your heating system depends on the system itself, the level of maintenance required annually, and whether or not you had the system professionally installed. For the most part, a furnace will last anywhere from 15 to 20 years. A boiler, however, can last up to 30 years if properly cared for the entire time. For a boiler, the quality of the water being supplied will make a huge impact on how long the heating system will remain effective. 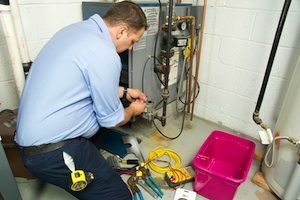 Some key maintenance tasks a home or business owner can perform to ensure they get the most out of their heating system include changing the filter regularly, receiving service on their system either annually or seasonally, removing debris from an outside unit, and replacing the refrigerant when needed. 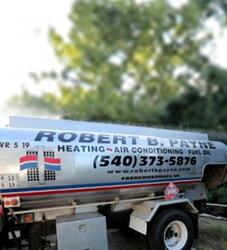 For more information about heater replacement or heater installation, call a Robert. B. Payne, Inc. representative today at (540) 373-5876, or contact us online.